A couple of weeks ago, new chancellor Mauli Agrawal spoke at a meeting of regional business executives, and recounted a conversation he’d had earlier this summer, just after arriving at UMKC. How, he asked of Kevin Truman, dean of the school of computing and engineering, could a university in a town with so many engineering firms have such a small engineering program? 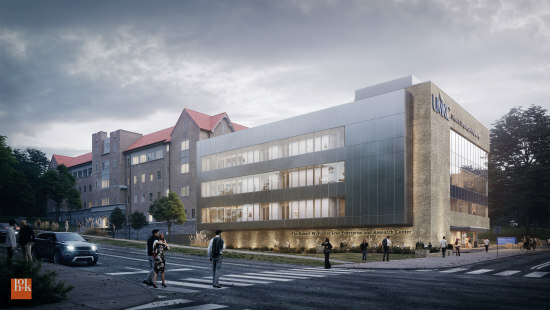 A big step toward that goal was Thursday’s groundbreaking celebration for the $32 million research and lab building for the UMKC School of Computing and Engineering: The Robert W. Plaster Free Enterprise and Research Center. The 57,800-square-foot building will serve not only the student population, but the community at large, the university says. It will include a maker space with industry-grade equipment available for anyone to use when it opens in 2020. $3 million worth of new virtual reality and augmented reality equipment. A clean room and scanning electron microscope, which can allow for the development of nanotechnology, robotics, biomedical applications, mechatronics and other technologies. A high-bay structural lab that will power research and development for, and prepare the workforce for, Kansas City’s large and growing civil engineering and construction sector. “Big Data” analytics labs that will replicate major data centers, preparing students for jobs at local tech firms such as Cerner and Garmin as well as major national and international employers such as Google, Microsoft and Facebook. Construction work is already starting on the building, which will bear the name of the Missouri businessman who co-founded Enactus (formerly Students in Free Enterprise). Plaster was a member of its executive board until his death in 2008. You can read more about the groundbreaking and the facility here.